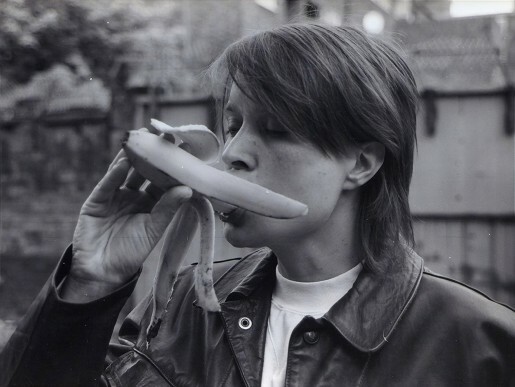 Since exploding onto the scene in the 1990s with the YBAs, Sarah Lucas has been testing and undermining societal norms. Often substituting food for body parts, she is seemingly lost in the experience of eating a banana. By sporting an androgynous look Lucas challenges stereotypical representations of gender and creates an image of defiant femininity.